Materials: Soft natural rubber sole and a comfortable PVC strap with bling. Description: Walk to the beat of a new tune with the Jandeys Skinny Mix Bling Lagoon. 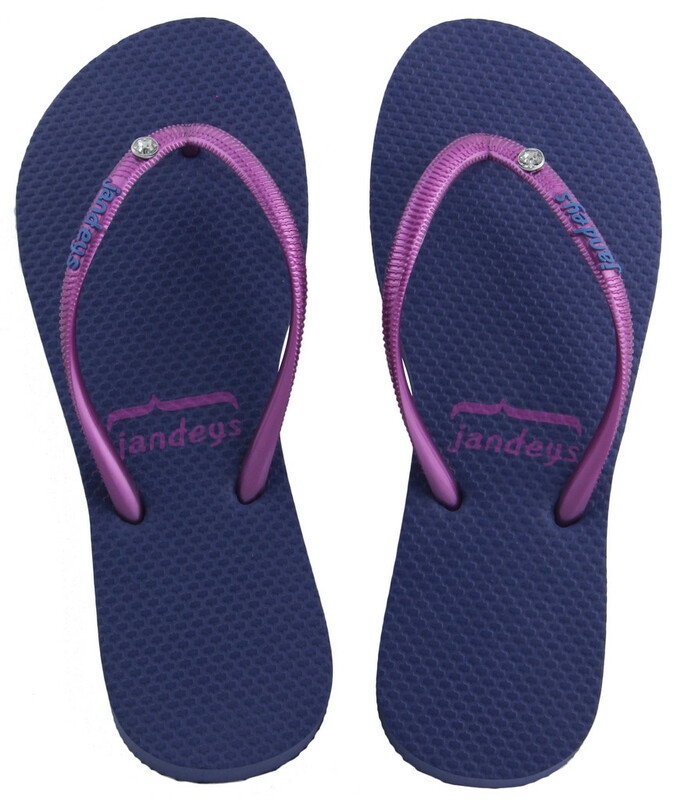 These jandals feature a glossy light purple strap with a deep blue lagoon sole.